Last Friday, on November 24, in the «University»Technopark of the Ural Federal University the conference “Universities as an Innovation Space” was held. It was organized by the UrFU named after B.N. 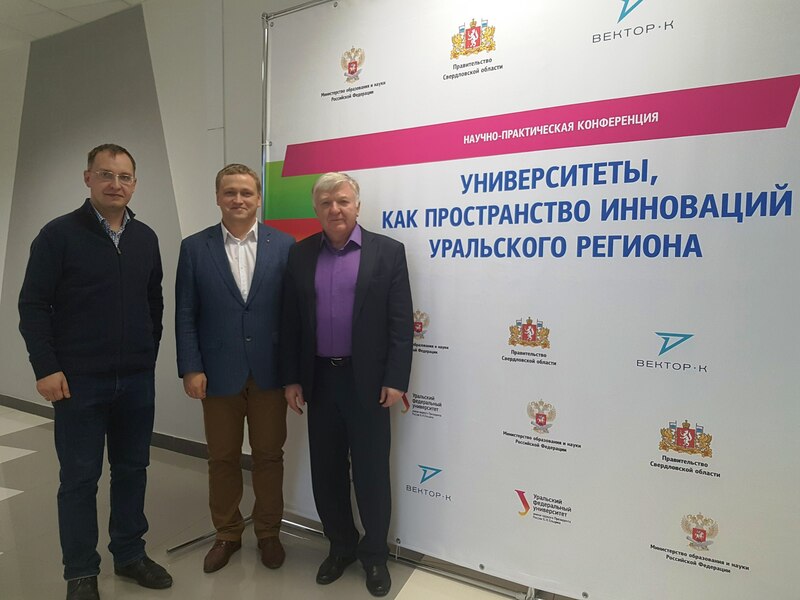 Yeltsin and company VECTOR-K on the basis of the initiative of the Ministry of Education and Science of the Russian Federation. The main purpose of this event was to discuss the possibilities of interaction between industrial enterprises and universities in the country to improve the competitiveness of universities, businesses and the region on an example of Sverdlovsk region of the Ural and other regions.The creation of “University centers of innovative, technological and social progress of regions” seems promising for accelerating of the processes of modernization of enterprises, the introduction of modern and advanced technologies and the development of technological and social entrepreneurship by improving the quality of scientific research and technological developments produced by leading Russian universities. Representatives of development institutions of the Russian Federation, the Sverdlovsk region, the Ural Federal District, as well as representatives of industrial enterprises, universities, scientific organizations, government and municipal management took part in the conference.Researchers ofthe IHTE UB RAS also took part in the section “Perspective trends of scientific and technological development of the region”. In the Institute the project “Development of energy efficient technology of post heating period of the high-temperature electrochemical devices for receiving of Ir-Re-Ir to reduce the power consumption” is performed in cooperation with the UrFU named after B.N. Yeltsin (Agreement №14.578.21.0238, 26.09.2017).The industrial partners of this project are the enterprises OJSC «Composite», (Korolev) and FSUE OKB «Fakel» (Kaliningrad). Photo: combustion chamber of corrective propulsion system of new generation. 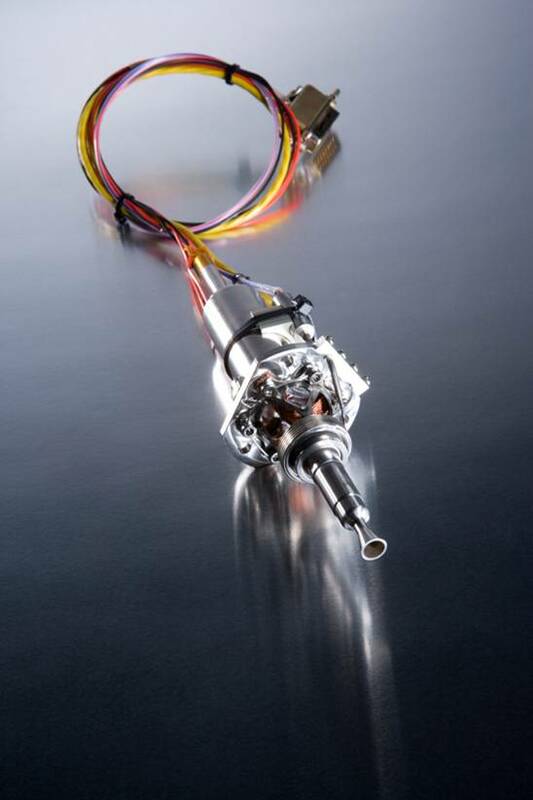 The purpose of this project is the development of scientific and technical foundations for the construction of combustion chambers from iridium-rhenium composite material for corrective propulsion systems on “green fuel” for space vehicles with developed characteristics, to improve the competitiveness of products and reduce energy and material costs for its production by high-temperature electroforming.Transition of small spacecraft on the «green» fuel is planned from 2021; the first flight tests have already shown its effectiveness.Due to the fact that the operating temperatures of suchfuel (2000-2200 °C) are twice as high as those based on hydrazine (1000-1200 °C), the material of the combustion chamber during operation in the material space must withstand such high temperatures for many heating and cooling cycles. 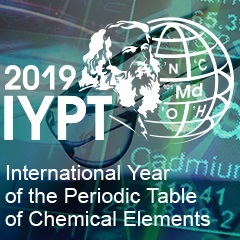 The project leader from the Institute of High-Temperature Electrochemistry, the head of the Electrode Process Laboratory AndrewIsakovnoted thatthe implementation of the project is successfully going according to the announced plans, and in a couple of years a new energy-efficient electrochemical technology will be created.